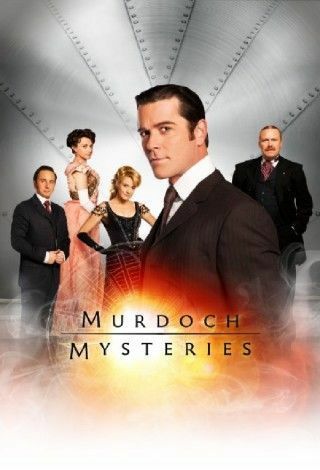 Murdoch Mysteries is a Canadian 60 minute scripted mystery television series, which kicked off on January 24, 2008, on CBC and is broadcast every Monday at 20:00. The show is currently in its 12th season. CBC is yet to announce the renewal of Murdoch Mysteries for Season 13 as well as its cancelation. Sign up to track down the show's status and its release date. If you love the older mystery solving shows, who did it, this show is for you. You get involved with the characters and start to cheer for certain ones. You learn to love Murdock and follow his path to giving up what he truly wants to be with Dr. Ogden. And her feelings and the extent to what she does to try and give him that. Watching the Chief Inspector and his interactions with his men and family. Seems like he never gets through the day without having a drink. Then you get to see another side to him. A caring side. As far as his wife who appears to be a person that only appears to be wanting to keep up with the Jones. And the extent that he goes to give it to her. You start to feel sorry for George Crabtree and wonder if he will ever find a girl that stays around long enough to actually marry. How did Higgins end up with the job, and the girl. At one point I really wanted his character gone. You cried when the one Constable was killed. The bits of history that are injected in the story line keeps it interesting also. To the point that you start to look the characters up to find out who they were and what they did. It allows you t take a journey through the happenings through out history. And I love the inventions that Murdock makes. To see what he comes up with and to know what they involved into now. It is great to see the process of how an idea starts and where he takes it. From finger marks to finding out how blood at the sight can help them. Great show, great characters and I do hope that it continues.